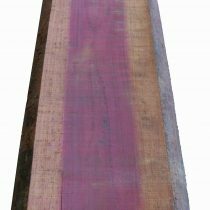 Purple Heart, grown in Central America, is a hard, dense and heavy wood. Purple Heart is a deep purplish brown color with some color variation. Although usually straight grained, the grain can be wavy or irregular. 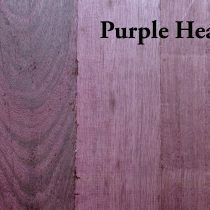 Purple Heart is used in furniture inlays, flooring , boat building and heavy construction.